Awesome! I like the new additions of the kryptek camos. 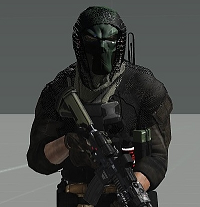 Is it possible to add solid colours with the new uniforms like green pants with mandrake top and vice versa with the other camos? E.g. green top, mandrake pants, black pants with mandrake top etc. i love the updated and new weapons and accessories! Maybe the flashlight could be more modern. Thanks for the awesome update! 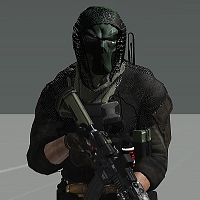 Are there planned variations of the balaclavas in tan or camo versions or shemagh masks with the goggles? awesome work really love them! Sig mcx sbr and rattler with stubby and afg configuration. Awesome tactical face masks!!! Just saw them on Arma 3 photo thread!! Can’t wait! Are the vests coming with battle belts with pistol holders? Finally!!! Face mask used by the SAS! Will the face mask come with shemagh and tactical glasses? it appears that the AMP and AMCU become invisible in the legacy pack. Also the G3 MTP classname has changed to the normal MTP. Any chance of getting the classname back? Can’t you just make two options one without and one with flags. I have so many arsenal setups with no flag patches with your mod. Please!!! Any chance of adding stubby vfgs on the cqb versions of the rifles? Yup the latest update is pretty cool! Does the L119 cqb versions have vfg or afg attachments with this version? Is it possible to keep the MTP with a G3 version as well? I really love that camo in crye G3! i reckon put your your username, type of uniform(G3 etc) and official camo designation name. I figured it out. ASR AI mod was on and it was causing the conflict. Thanks for the assistance!